Family members and friends mourning Renugah's death at the family home in Taman Bayu Perdana, Klang. KLANG - Being the youngest and sole daughter in her family, V. Renugah grew up pampered. She was the apple of her mother's eye. So when the 26-year-old was killed in the bus crash near Muar early Saturday morning, her family was shattered. "She was much loved by us and will be deeply missed," said her eldest brother Guganeswaran, 32. Renugah, who is the daughter of Taman Bayu Perdana MIC branch chairman K. Velautham, was on her way home with her sweetheart R. Kesavan when the accident occurred. She was given an emotional send-off at the family home in Taman Bayu Perdana on Christmas Day. Her funeral rites were conducted tearfully by grieving family members, friends and relatives. Her mother K. Sinnamah, who was inconsolable, collapsed as Renugah's remains were loaded into the hearse to be taken to Simpang Lima Crematorium. Her father carried out the cremation rites. The remains arrived at the family home from Muar's Hospital Sultanah Fatimah on Saturday night. She was among the 14 people who died in the tragedy. According to Guganeswaran, it would take a long time for the fa­mily to get over their loss. "My sister was a very loving and jovial person and she loved my two-year-old daughter Kavisha dearly," he said. The express bus the couple boarded at midnight in Johor Baru plunged into a ravine at the 137km mark of the North-South Express­way early Saturday morning. 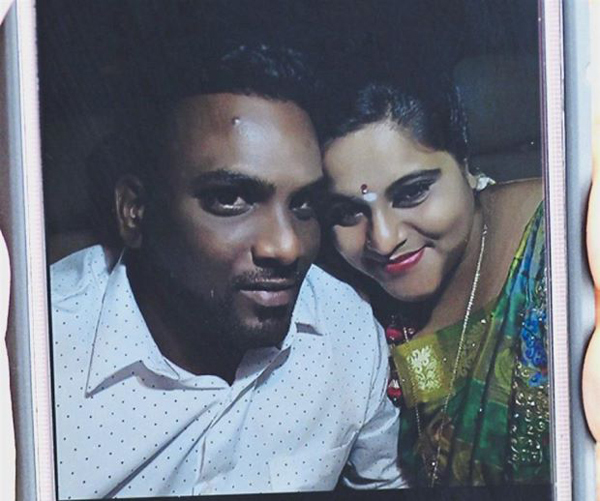 Renugah and Kesavan had planned to marry next March. Kesavan, who was one of the 16 people injured in the accident, is still being treated at Hospital Sultanah Fatimah.